I remember starting my first job after University working in military and commercial flight testing at QinetiQ (formerly the British’s Defense Evaluation Research Agency), I spent 10 weeks in an introductory program and almost a year in a rotational program in 3 different roles before I became a systems engineer, a multidisciplinary job. The first 10 weeks was still the most memorable. I spend 1 week in an aircraft hanger working with ground air crew and mechanics, spent 1 week working with certification authorities that approve safe equipment, and I even got to refuel a fighter jet and wave it off on take off. 1-2 weeks in different testing environments, I even spent 1 week in the aircraft hanger library reading aircraft log books (very boring!). 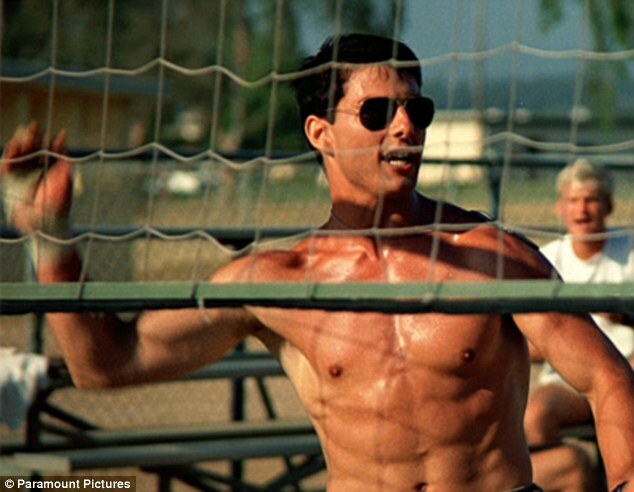 Later I would play tennis in tournaments during lunch time in the summer with test pilots and it was just like Top Gun’s volleyball scene- those pilots are fiercely competitive and take massive risks! Something I would bear in mind when trying to work with these pilots in a real flight test environment. 3 years later, I left the job having an extremely solid understanding in the importance of systems thinking both on the technical, managerial and organizational approach. You cannot work in aerospace without having a firm grasp of all the interconnected systems and how to work with people, even more so when doing risky flight testing in a traditional bureaucratic industry. 10 years later, the systems thinking informs 90% of how I work today on the toughest problems. When I read Professor Calestous Juma’s book “New Harvest”- Agricultural Innovation in Africa, one of the recommendations that resonated with me the most was the systems thinking approach to how to enable innovation. Rather than do a formal book review- (read Amazon’s here), I wanted to talk more about the big takeaway for me, a systems approach, and how it relates to innovation in Africa. It is clear that to achieve Africa’s agricultural objectives in food security and trade there are many interconnected parts. Many African Governments clearly don’t have the capacity to achieve what is required and there needs to be collaboration with many organizations- also it is apparent even in the technical realm, the convergence of different scientific disciplines from ICT to biotechnology and even the nascent field of nano-technology- clearly many of the technological capacities are currently not present in Africa and will have to be both imported in the short term and researched in Africa to build in this capacity long term. On the organizational level, Regional Economic Communities such as the East Africa Community (EAC) need to be strengthened, strong political will and leadership is required to maximize the trade potential of the agricultural output to feed Africa and even the world. Without fixing the transportation/logistical infrastructure in Africa, how can you move food easily from one place to the other cost effectively? Despite this, Professor Juma’s book shows that Malawi, a land locked country that seemed to be in a hopeless state and in 2005 with 5 million citizens requiring food aid could transform itself. In 2 short years, Malawi managed to shock the world and achieve great strides in agricultural productivity. President Bingu wa Mutharika even took over the Agricultural department personally and showed great leadership by spending 16% of the Governments budget working with new technologies, ignoring traditional naysayers in the aid industry- the results speak for themselves, by 2007- the country had its biggest surplus ever and begun exporting to neighboring countries- extremely inspiring. But the big conclusion- take a systems approach and you can solve the toughest interconnected problems. Many other problems in Africa require a systems approach- if you read my 3 part series on mHealth, I deliberately brought in an mHealth researcher and a MD practitioner building a health system where one does not exist. As my colleague states “mHealth does not exist in a vacuum”. I had also written about the importance of genomics research coupled with cloud computing, you bet that this is connected to improving the healthcare sector in Africa, especially when African countries, technologists, private and public sectors need to work together. One more example to hammer home the point for those working ICT: If you are building the “Amazon or Ebay of Africa”, you won’t succeed without solving consumer trust and user behavior issues including fraud and building a network of merchants and agents. There is no formal resident or business addressing system and a reliable and effective postal service in most parts of Africa that the west enjoys to allow you to deliver retail goods ordered online. You have to develop your own good “delivery system” if you want to build up this sector- a lot of this calls for African originated innovation. They call Silicon Valley a tech “eco-system” that delivers innovation for a reason. Look at Apple- I would argue they are the most succesful tech company in the world because they leveraged a systems approach from building an incredible supply chain from China to the rest of the world, working with the best of industrial design and creating an insane tribal marketing fan base. Systems thinking approach is everywhere if you look hard enough. 10 years ago, when I asked my boss at the aerospace company how one can begin to understand all the systems, he replied “Try to be the expert at your level of the system, and push to understand all inter-related systems around you”. I have followed that advice ever since. I urge you to take time over the holiday break to read Professor Juma’s book- it is packed with great background information even if you are not interested in food security and agriculture, you will realize after reading it how important it is to Africa and most importantly I personally hope it inspires everyone to adopt a more systems approach to working in Africa, that includes, entrepreneurs, corporations and even investors, yes investors (read this post on how some emerging market VCs have even adapted this to their investment strategy). In Professor Juma’s own words from his tweet to me today ‘ “Get more people to read it, especially the youth.”. The Complete ebook PDF can be downloaded for free.